Carol and I did something today that we had never thought we would have the opportunity or capability to do. We climbed an active volcano, Volcan Villarica, which is just outside Pucon. 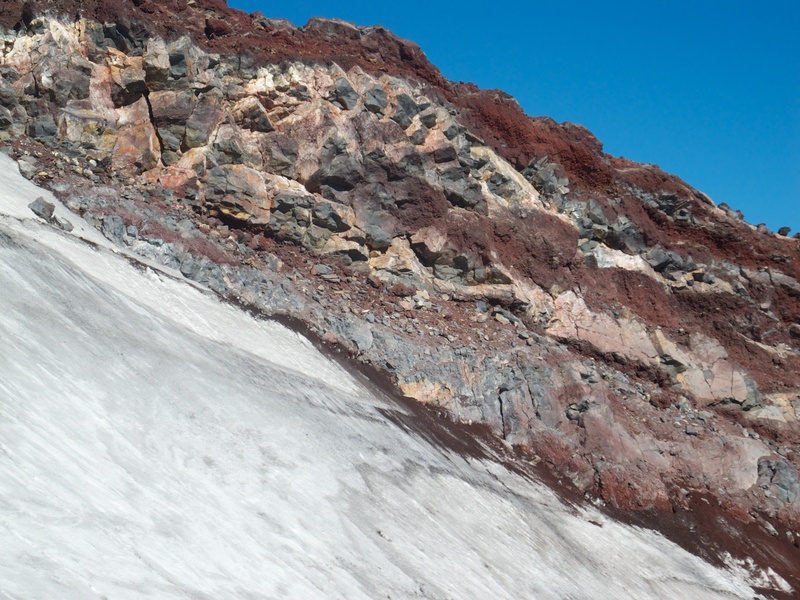 It is 2847 metres high and last erupted in 2008 though the last serious eruptions were in 1964 and 1971. 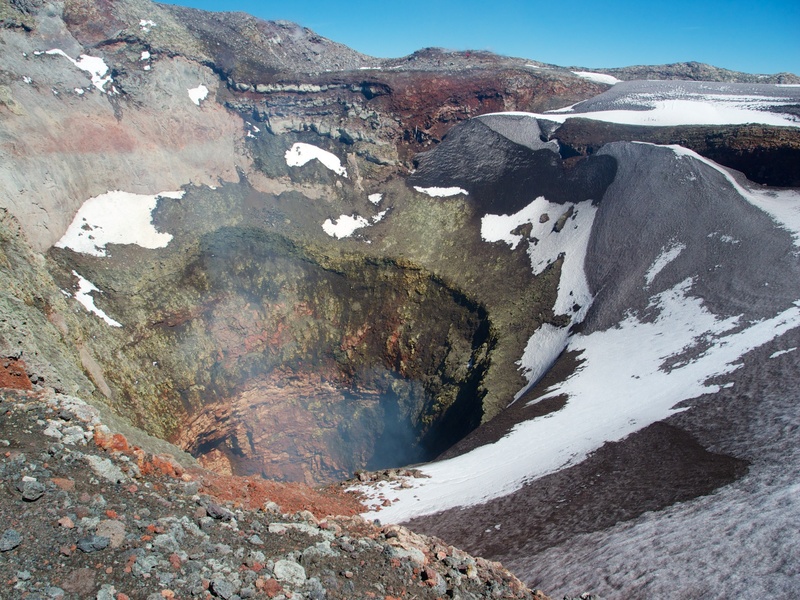 It is one of five volcanos worldwide known to have an active lava lake within the crater, though that is not visible from the summit. We climbed the mountain with Summit Chile (www.summitchile.org), in Pucon. They were excellent. They made sure we were a small group, the guides were highly experienced, the equipment was excellent, there was a strong focus on safety and we had a truly exceptional day. They even laid on the most brilliant weather. We saw several other groups going up the mountain and were very pleased with the choice we had made. It was clear that we had let ourselves in for a serious climb when we arrived at 6.45am and were issues with not just the normal wind and wet weather gear but helmets, crampons and ice axes. We had a bit of a sharp intake of breath at this stage, but nothing ventured …. Of course, we had to carry all this stuff up the mountain as well. The climb starts at about 1200 metres and is in three parts. This mountain does not have a gentle approach or way in. You are on steep ground from the start until the summit. 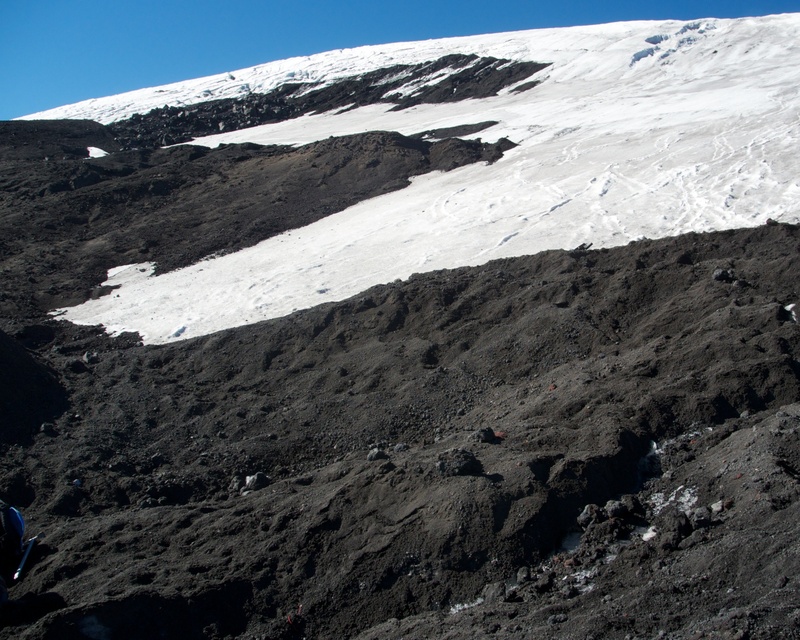 The first part of climb, to about 18oo metres is over tracks threaded through volcanic residue. It really is like walking on the moon, but at a much steeper angle. During this stage we learnt the difference between a trekking walk and a climbing walk; slow pace, small steps, locking knees to transfer weight from muscle to bone, and few stops. It was steady and relentless but we seemed to cover the ground quite fast. The second part is climbing the icefield and glacier which covers from about 1800 metres to a few hundred metres from the summit. For this we donned crampons and had some lessons in crampon use, and using an ice axe to break a fall if you slip. This was a long slow part of the climb but with ever more serious views as we got higher. Finally the ice stopped shortly before the summit, we took off the crampons and had a last 15 minute dash for the summit. It had taken about 4.5 hours all told. The summit was truly extraordinary with the volcano crater only a few yards away and periodic emissions of sulphurous gases floating up from the lava field below. 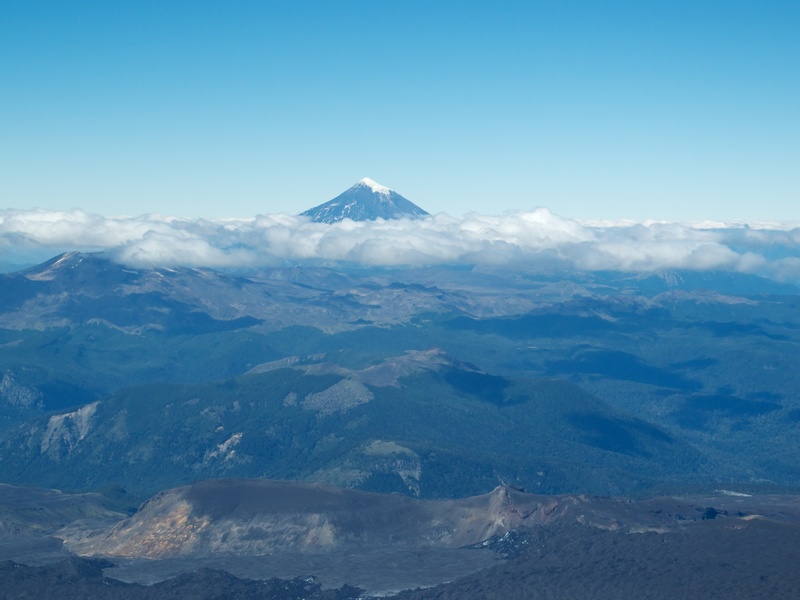 We could also see the much larger glacier on another face of the volcano and a range of other Chilean volcanoes in practically every direction. Sometimes the worst thing about climbing a mountain is the descent, a hell of a lot of effort and without the prospect of a summit to keep you going. But this was a little different. 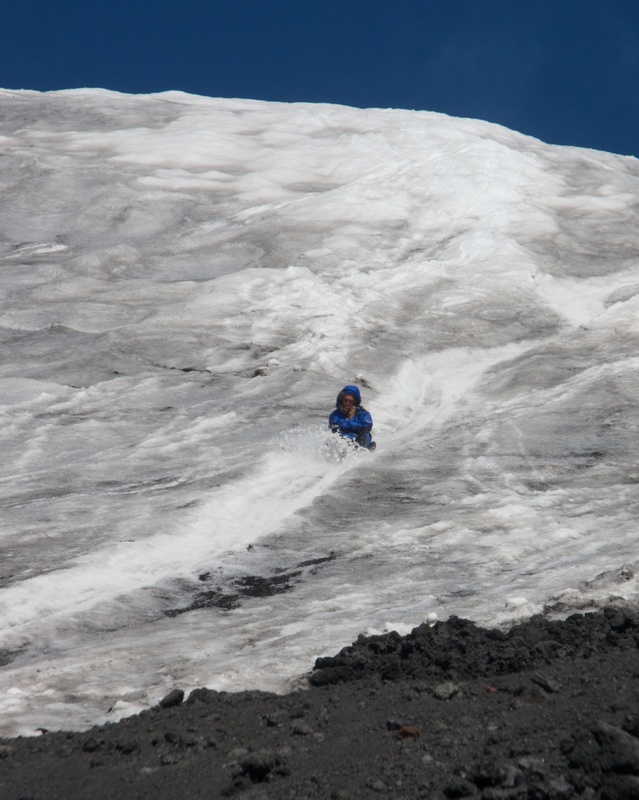 When we reached the icefield we each donned a sort of reinforced backside – or a wearable sledge – and slid down the icefield in a series of slides of 100 to 500 metres long. It sounds terrifying but it was a lot of fun, using the ice axe as a break. And then when we left the ice we followed a different route down following loose shingle which allowed a very gentle walk/slide down the mountain t the bottom. The descent took about 1.5 hours. Posted in Chile, Photography, Uncategorized. Bookmark the permalink.